Creative and digital companies are set to benefit from a £500,000 investment fund announced today (27 June 2016) to support the development of innovative digital technology and solutions that tackle regional healthcare priorities. The South West Interactive Healthcare Programme has been launched to improve cross-sector collaborations and innovation, while opening up exciting practical opportunities for creative professionals to work with business clusters in the healthcare sector. Financed by Creative England’s regional growth fund, the programme is a joint initiative between the South West and West of England Academic Health Science Networks (AHSNs) in conjunction with SETsquared. The new fund will support the development of digital technologies, (web, mobile and tablet applications) that address one or more of the South West’s healthcare priorities as identified by health service providers and that directly benefit patients within the region. You will be asked to complete an Eligibility Questionnaire and an Expression of Interest in the first instance. Before submitting an expression of interest (EOI), we recommend you speak to your regional AHSN innovation team. Companies in the West of England (Bristol, Bath & North East Somerset, Gloucestershire, South Gloucestershire, North Somerset, Swindon and Wiltshire) should contact Urszula Kapoulas at urszula.kapoulas@weahsn.net or 0117 900 2155. Companies in the South West (Somerset, Devon, Cornwall and the Isles of Scilly) should contact Kurt De Freitas at info@swahsn.com or 01392 247903. For any questions regarding the application process, please contact Creative England’s Project Manager Tim Evans tim.evans@creativeengland.co.uk. 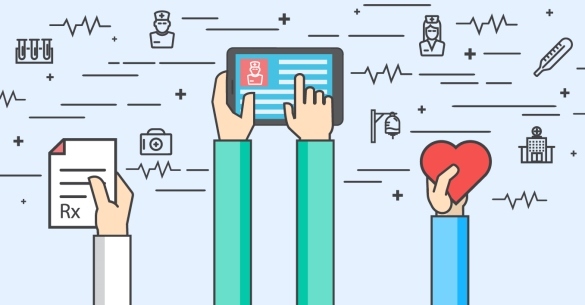 Education and raising awareness of digital health resources or local services available to citizens and how they can access and take advantage of such. Developing enhanced interfaces giving accessibility to different patient and health staff groups. Online health communities to encourage knowledge, support networks and self-empowerment.